An apple a day, keeps the doctor away! We are definitely getting our share of apples in this week! The children observed the changes an apple undergoes once it has been cut. 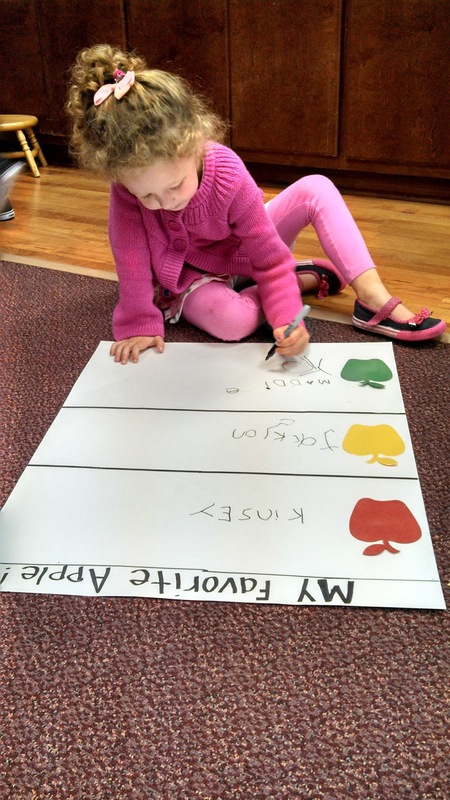 They also tasted several different apples and made a chart to show which was their favorite! Check out these art projects they did this week! 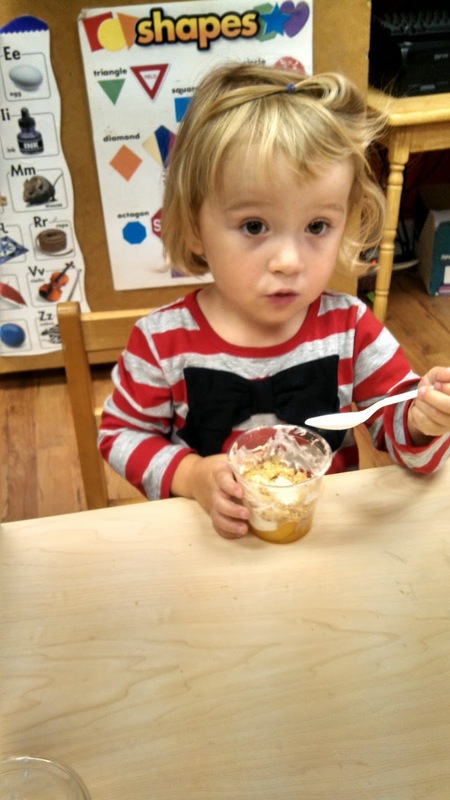 With all of the talk about apples, we had to make our own Apple Pie! It was really delicious! We're off to the farm this week! 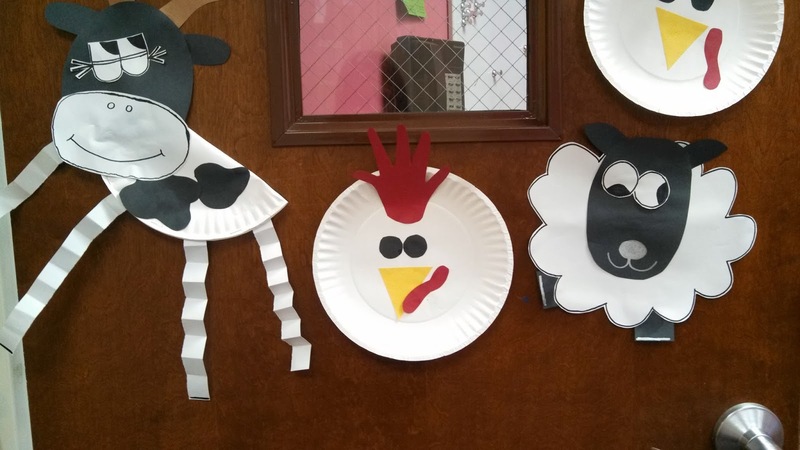 Our little guys love animals and especially FARM ANIMALS! We sing "Old MacDonald" all the time so when we really get to focus on these animals, it's quite a fun time! 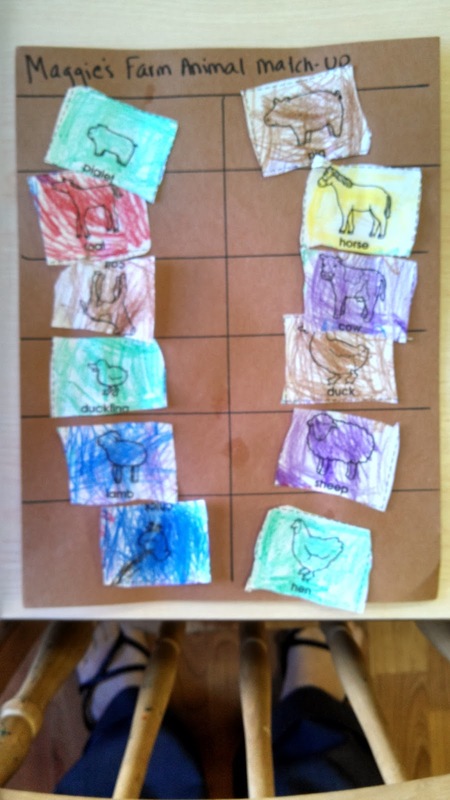 The children made some adorable farm animals and one class even did a match up for the baby animal and the momma! There were also some great science activities this week! 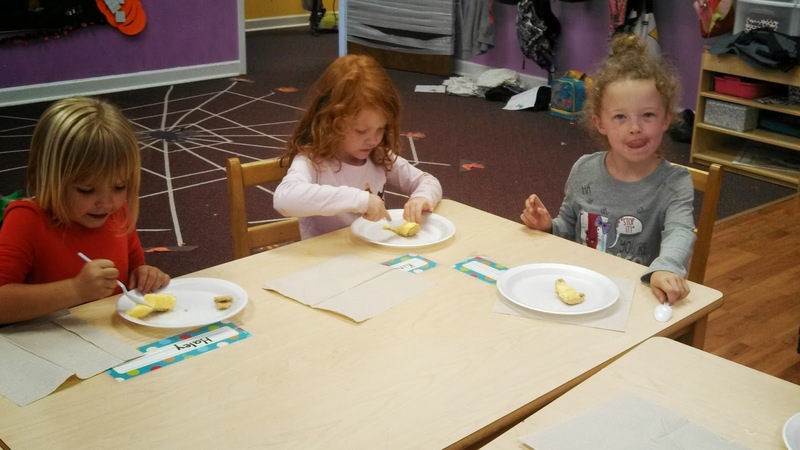 One classroom shucked corn and another classroom made their own butter! 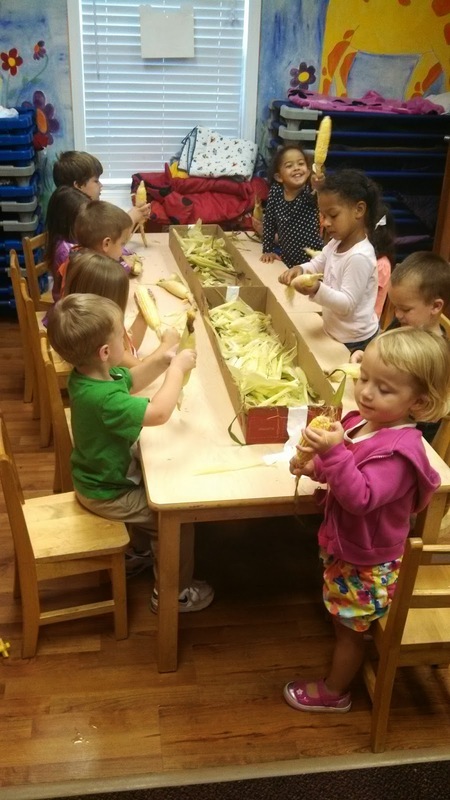 They absolutely loved getting to shuck the corn! Shaking it up to make the butter! We enjoyed our trip to the farm! E-I-E-I-O!!!! 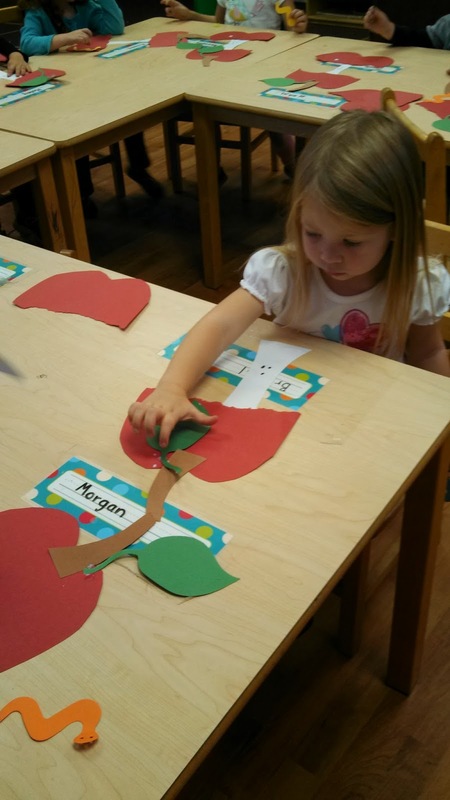 The seasons are changing so it's time for us to learn all about Fall! We talked about the weather, what clothing is appropriate to wear, and why the leaves change colors and fall. 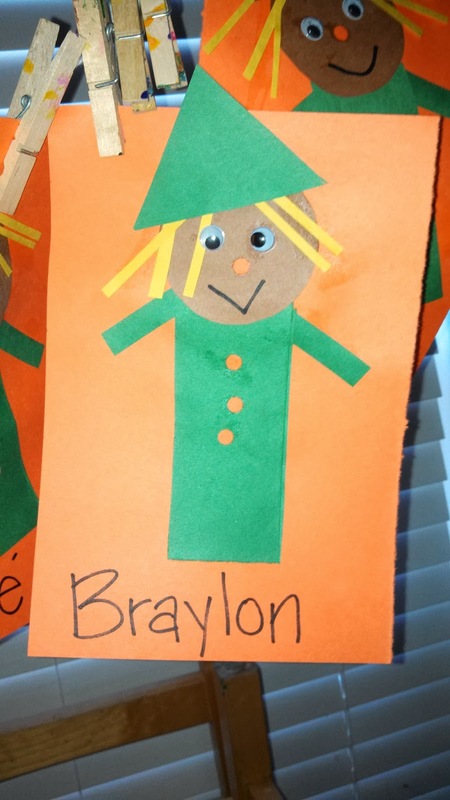 There were some great math activities this week like working on patterns with leaves and making a scarecrow from shapes as a review! 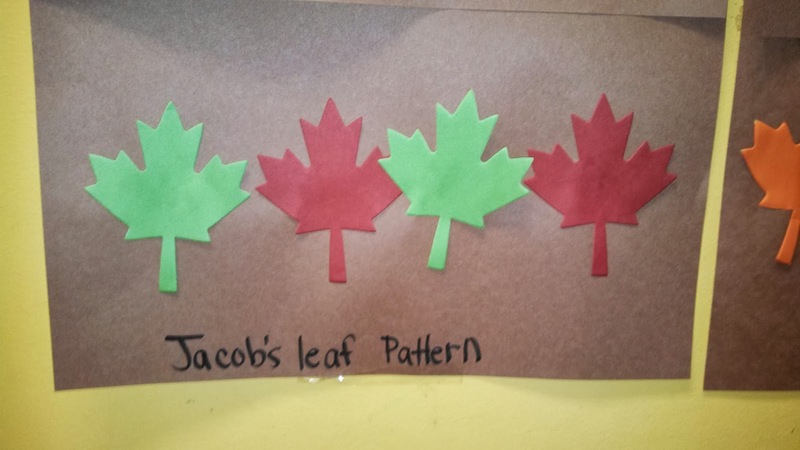 After talking about leaves, the children did several art activities to show the leaves changing colors and falling. 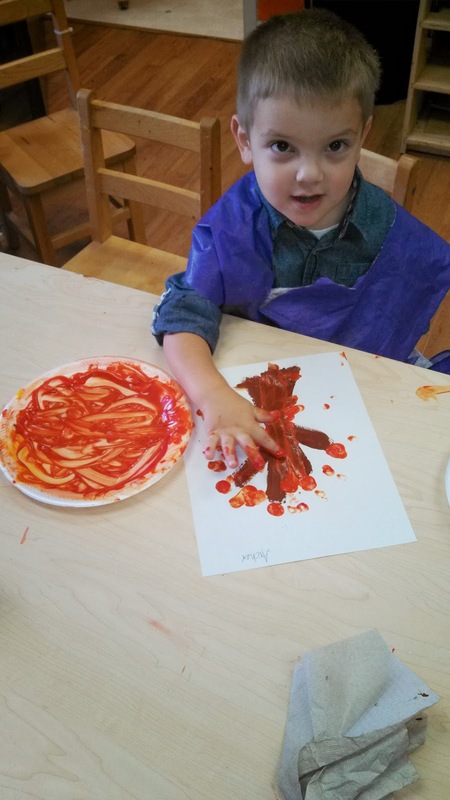 Finger painting is always fun! 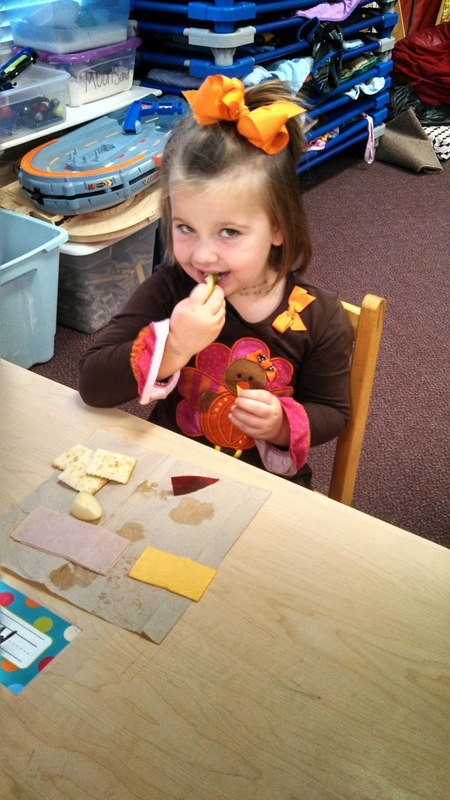 Our cooking project this week is getting us ready for next week's letter of the week, "I". We made Ice Cream Pudding Pie! Needless to say, the children loved it! Eek!! 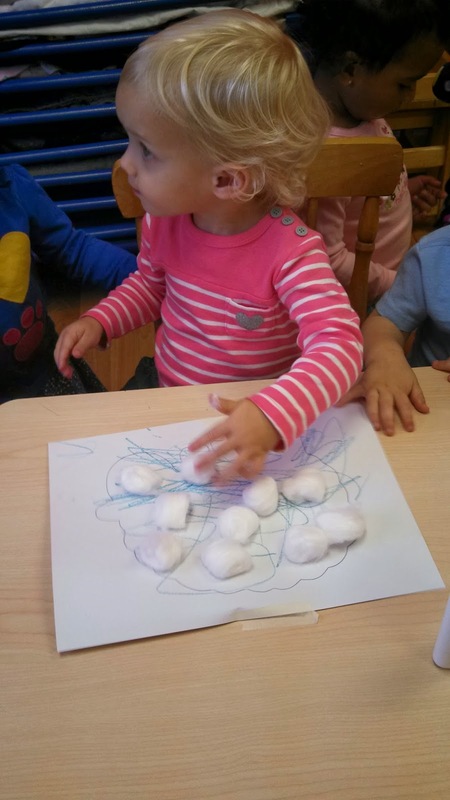 This week is SO neat for the children and the teachers! Since dinosaurs existed long before our time, we have to use our imagination which is always fun! The children pretended to be paleontologists and dig for fossils and they also acted like dinosaurs. There were so many awesome projects going on in the classrooms (and somehow I didn't snap any pictures)! 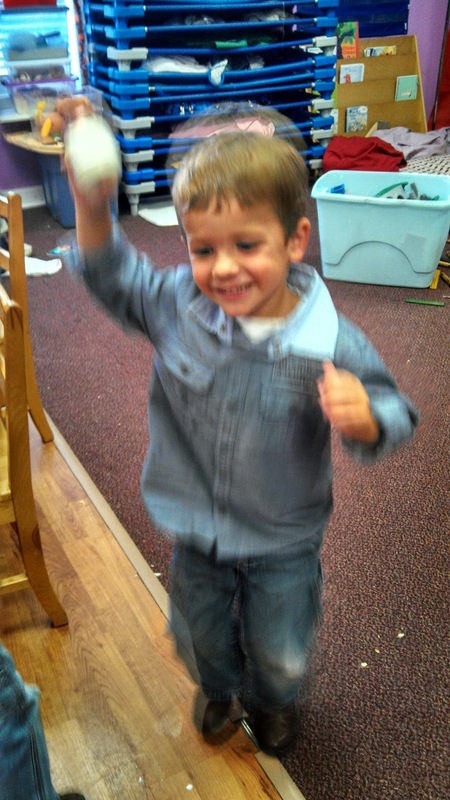 They made their own fossils, created dinosaur skeletons, and went on a Dinosaur Egg Hunt. For our cooking project, the children made Gumdrop Cereal Dinosaurs. 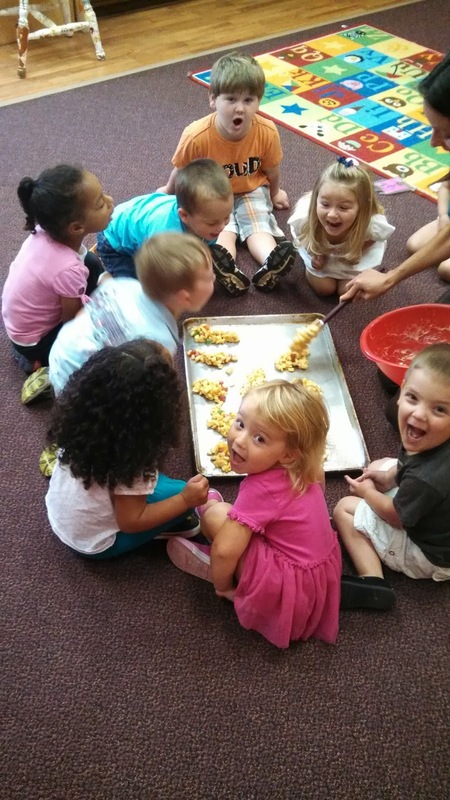 The 3 year olds had a blast as they "ROARED" every time a child made their dinosaur! 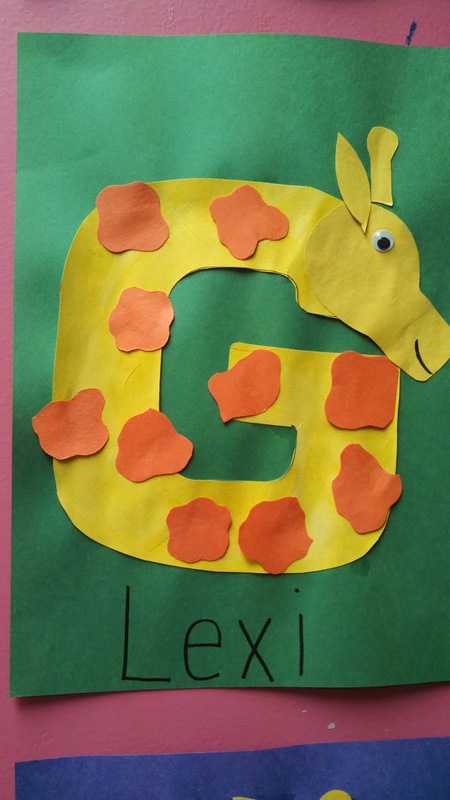 Our letter of the week was "G". 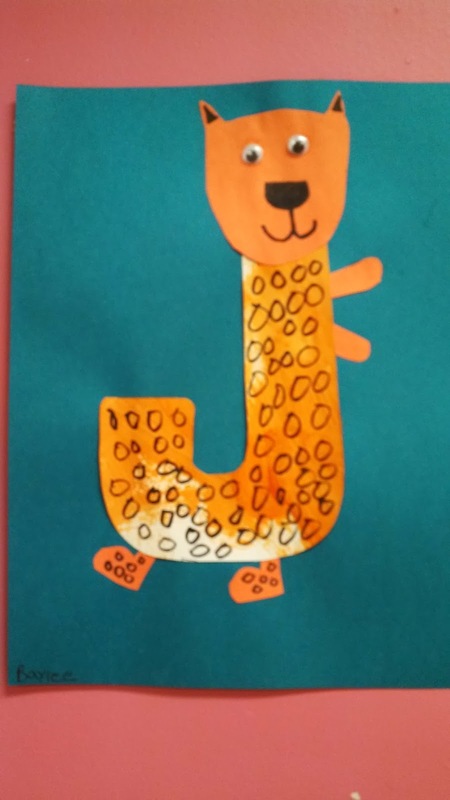 How cute is this "G is for Giraffe"? !